CLEW reviews books with an expat touch: Passage to Persia, written by Margaret A. Frame. For CLEW by Summertime Publishing. Dr. Kibbe traveled to Persia – in what is now known as Iran – as a young single woman in the 1920s. Through her many letters to her family, the reader gets a glimpse of a time and culture and the many changes that took place during the 30 years she spent living and working there as a missionary doctor. Though Adelaide Kibbe wished to continue her grandparent’s work in China, the Presbyterian Mission Board had other plans for her to work in Persia, where there were very few, if any, female doctors. Adelaide recognized this and accepted the position. Accompanied by her mother, they set sail in 1927. She returned though to find many changes including the cultural progression of Persian women who were adapting to a more western culture with the wearing of hats and walking beside their husbands, as opposed to behind them. In spite of numerous inclusions of mission and hospital reports and letters Dr Kibbe wrote to friends and family, the author (and Dr. Kibbe’s daughter, Margaret A. Frame) has done a fantastic job of organizing the correspondence in a manner that is interesting and easy to follow. Frame interjects a few paragraphs here and there to help the reader with some background information which certainly benefits the book greatly, and doesn’t disrupt the flow of the letters. 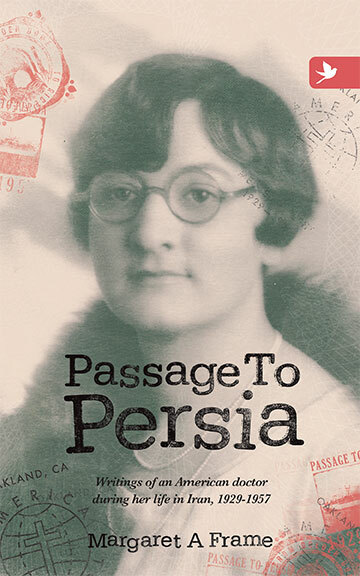 This book will delight anyone interested in Persia’s history and culture, and expats in particular will find themselves relating to many of the letters that Dr. Kibbe wrote to her family about her life and the cultural differences of living overseas.